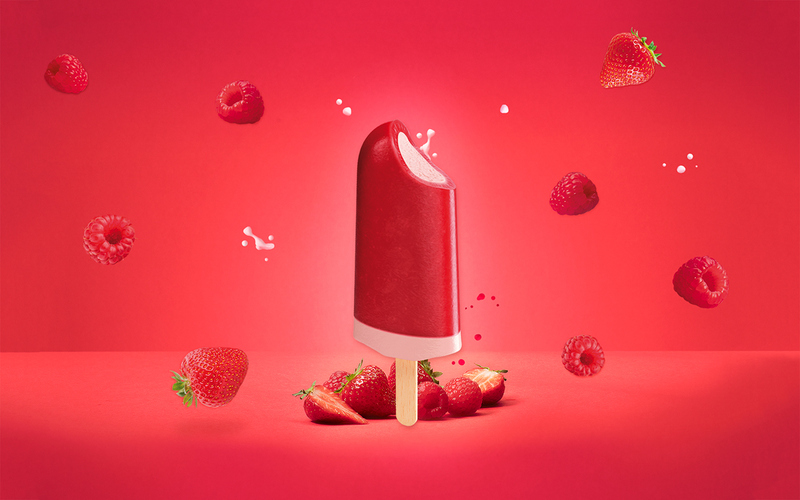 There's a lot of ingredients that goes into building an ice cream brand. 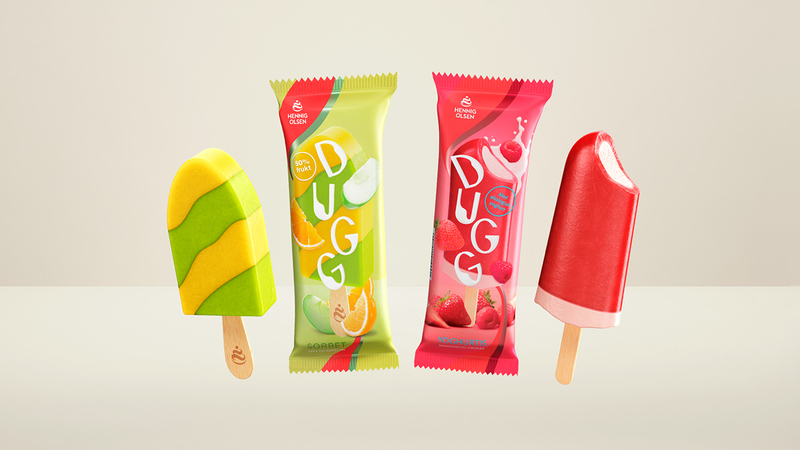 DUGG is a series of fresh yoghurt ice cream and sorbets from the beloved Norwegian ice cream brand Hennig-Olsen. 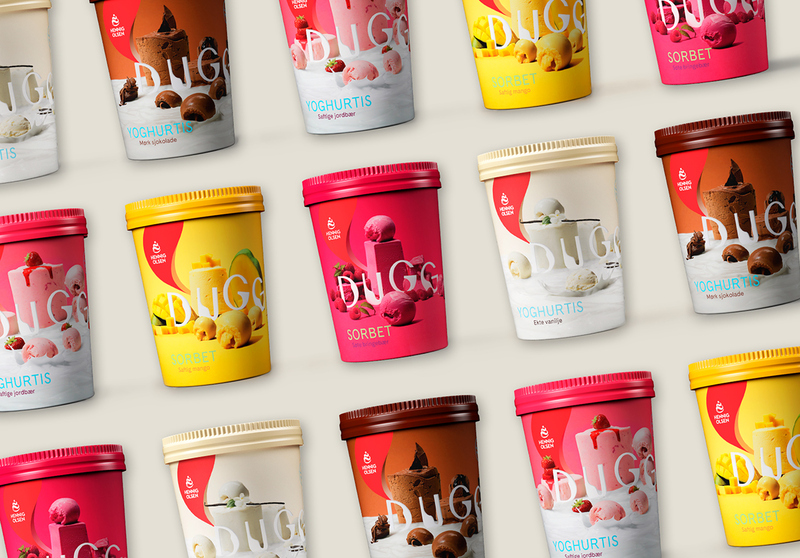 Originally launched as a healthier, low-fat option DUGG was being communicated as your typical alternative to the ordinary. 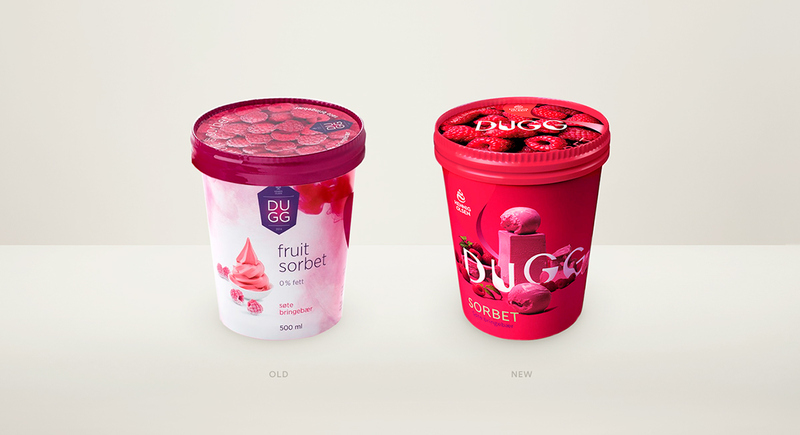 The challenge a couple years after the initial launch was that DUGG didn´t have a strong position within the category. 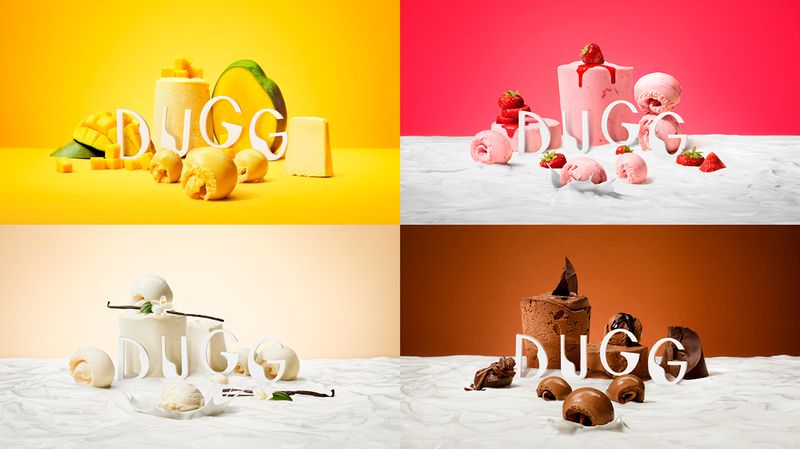 Another major issue was that the DUGG branding had a very weak connection to the mother brand. It didn’t manage to create any synergy for the brand as a whole. Evidently something had to be done. Either change the brand name and start from scratch - or do a total makeover. Obviously, we advised Hennig-Olsen to do the latter. Our main challenge was to create a unique identity for the DUGG brand with a clear connection to the mother board. Secondly, we wanted to shift focus - from 0% fat and your typical health focus to highlight the extra high content of fruits, berries, and quality ingredients. From less is more, to more is better! 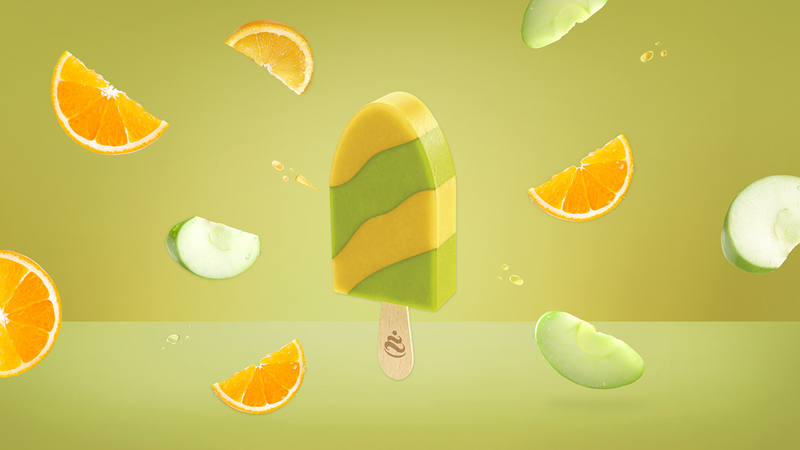 We wanted to use real ice cream and ingredients to build tempting landscapes of tasty flavors in our studio. 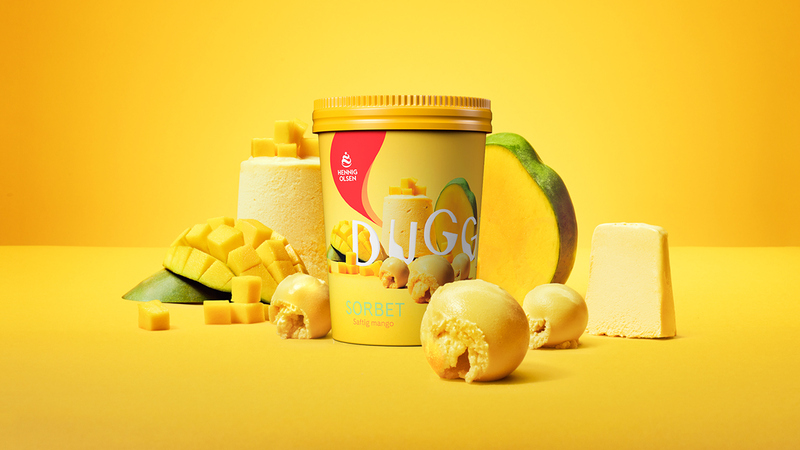 The result of the shoot has adorn the packaging and market material of the DUGG brand. 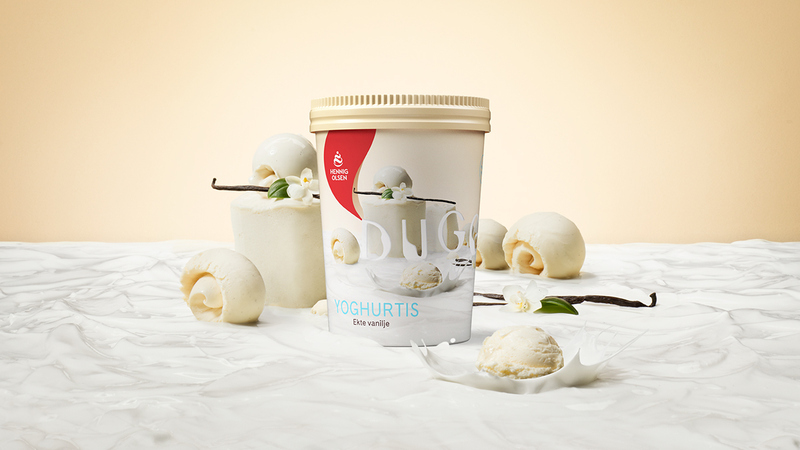 The logo reflects the ice cream's smooth, soft texture and freshness. Tasty and elegant is the look we wanted it to communicate. For the pack shots we made a physical version of the logo to place in the scene of each taste. 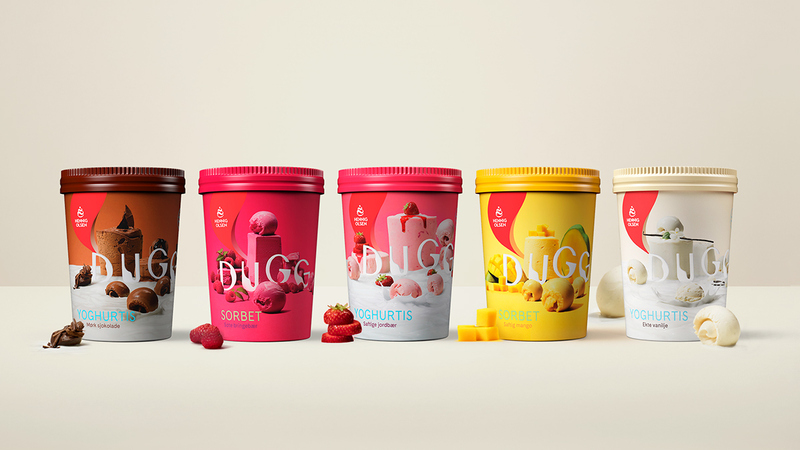 All the photos on the packages are shot in studio with the actual physical ice cream and fruits. The "DUGG" letters are made of laser cut, white plexiglas and were placed in each scene. Naturally a whole lot of mess was made and kilos of ice cream eaten while art director, designer, photographer and food stylists worked their magic. 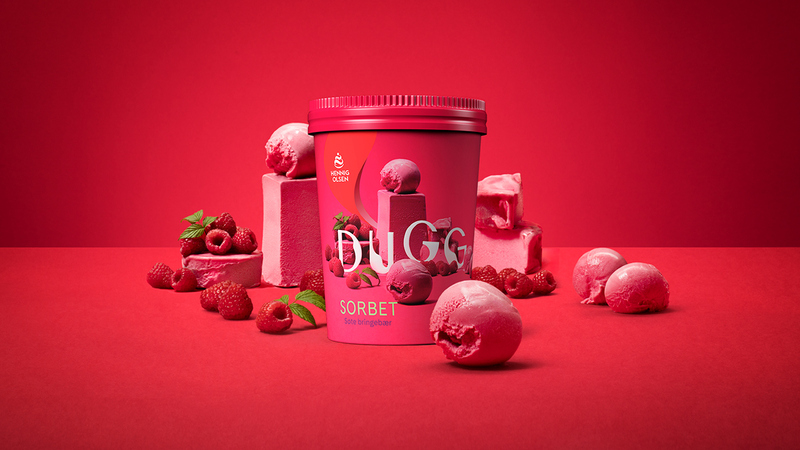 DUGG from Hennig-Olsen Ice Cream. There's a lot of ingredients that goes into building an ice cream brand. 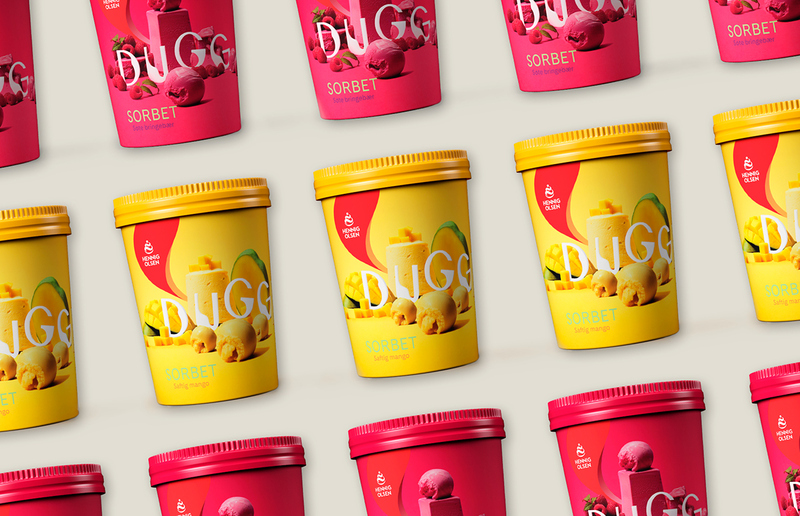 DUGG is a series of fresh yoghurt ice cream and sorbet’s from the beloved Norwegian ice cream brand Hennig-Olsen. 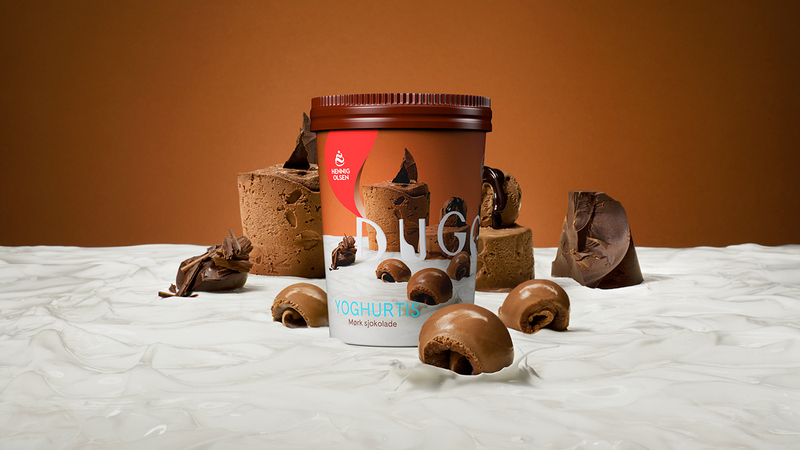 Originally launched as a healthier, low-fat option DUGG was being communicated as your typical alternative to the ordinary. 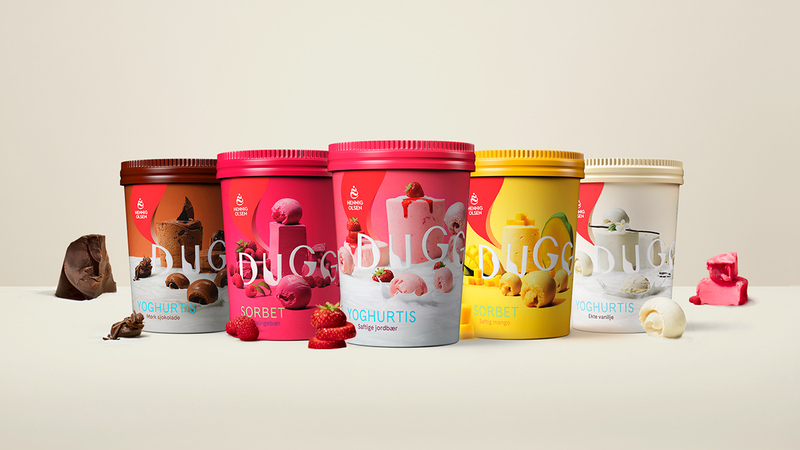 The challenge a couple years after the initial launch was that the DUGG brand didn´t manage to position itself as the better and healthier alternative as planned. Our task was to do a total makeover. 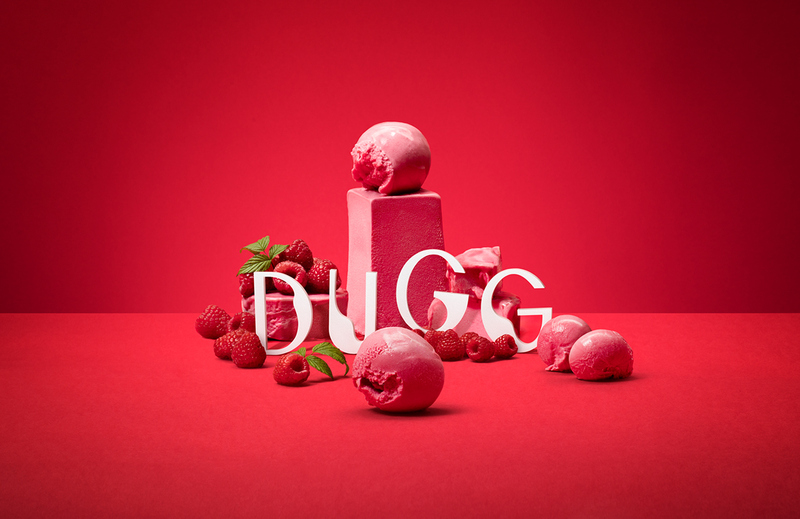 Our main challenge was to create a unique identity for the DUGG brand with a clear connection to the mother board. 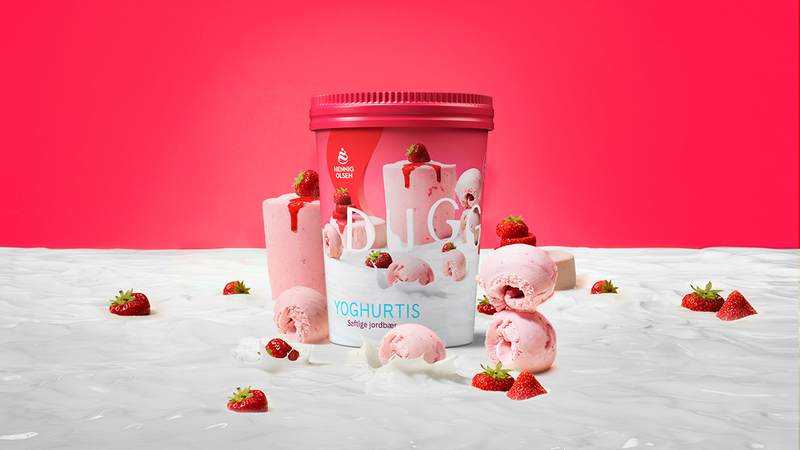 Secondly, we wanted to shift focus - from 0% fat and your typical health focus to highlight the extra high content of fruits, berries, and quality ingredients. From less is more, to more is better!